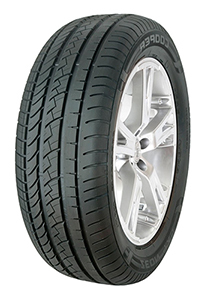 Constructed with an asymmetric rib tread pattern design, this tyre provides enhanced levels of safety in wet conditions. The open inner shoulder of the tyre delivers excellent wet grip capabilities and wide circumferential grooves work to evacuate water for impressive aquaplaning resistance. Optimised Polymer Technology is utilised to deliver reduced fuel consumption and enhanced resistance against tread wear, resulting in excellent economy.